This morning we entertained and talked with a number of Danish Politicians and Local Government Officers from the city of Gladsaxe in Denmark who are visiting Liverpool looking at the cultural diversity of the city. 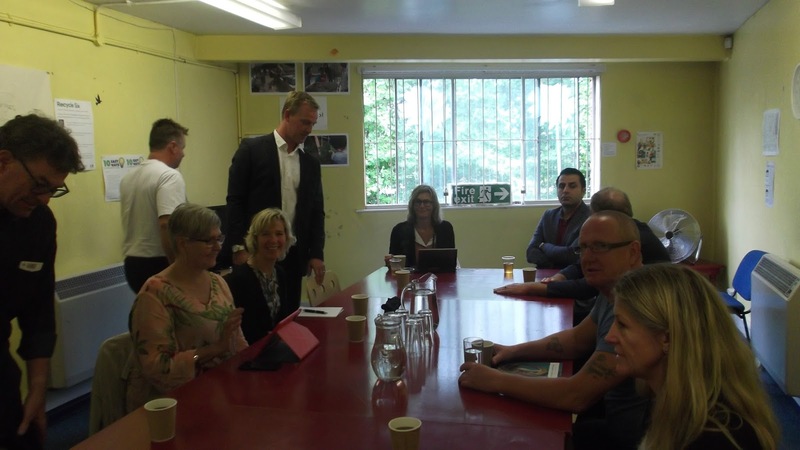 They were interested of how we engage and work with all the different organisations in the L8 area. They were particularly interested in the number of different cultures we work alongside. After their visit here at Granby Toxteth they were taking a tour with Joe Farrag around the Four Streets in L8 and finding out more about the regeneration that has occured there over the last couple of years. I found the visit really interesting listening and learning about how other cities in Europe develop their Cultural and Educational resources.